From the makers of the Mia face brush series comes the Clarisonic Mia Prima, another sonic cleansing brush created for men and women who prefer a no-fuss beauty tool. The Mia Prima is advertised as a “simple sonic facial cleanser,” consisting of only 1 mode that lets you finish your deep-cleansing routine in just 60 seconds. But let’s ask the big question: Is this a good idea, or is this brush too simple? What do previous buyers say? 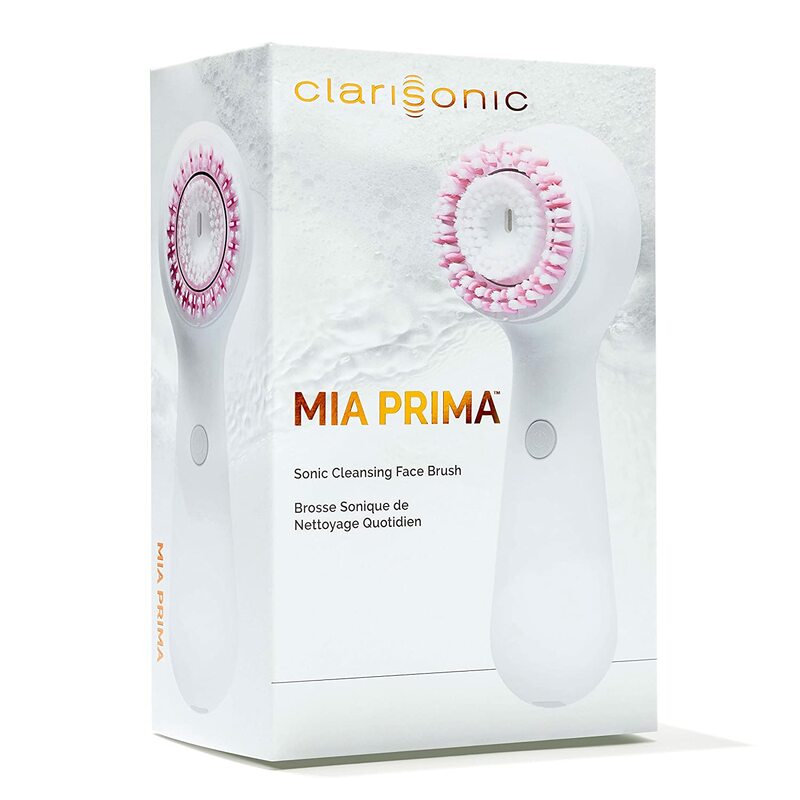 Find out in this Clarisonic Mia Prima sonic cleansing face brush review. That’s the tagline for the Mia Prima, which sums up how this face brush differs from other Clarisonic models. It still has that recognizable shape (although it’s slimmer and sleeker), it’s still gentle on the skin, and it’s still 6x better than washing with hands alone. But compared with say, the Mia 2, the Mia Prima has only one speed option. Also, the Mia Prima doesn’t have a T-timer prompt. Sure, pressing the button means starting a 60-second timer, but it doesn’t buzz to tell you when to move on to another spot or area of your face. After 60 seconds, it cuts off automatically. Just like the other Clarisonic face brushes, the Mia Prima is rechargeable, and you can charge it via USB. To summarize, here are the key features of the Mia Prima. Here’s a summary of what we found. – Modernized Clarisonic Brush. 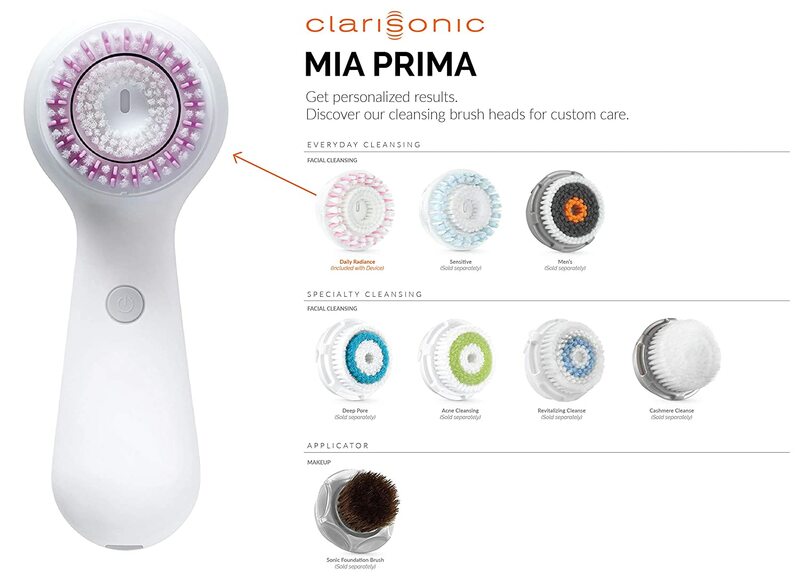 Long-time Clarisonic users can instantly recognize that the Mia Prima is a modernized version of the past Clarisonic sonic brushes such as the Mia. The improvements introduced to this brush have received generally positive comments. The body is slimmer, more attractive, and a better fit for your hands. The on/off button has a nice LED light that brightens up when you’re charging the brush or using it. – Charging. Other Clarisonic brushes such as the Mia 2 comes with a wireless charging system. The Mia Prima can easily be charged through its micro-USB charging cord. – Performance. The Mia Prima delivers the same results as those of the previous models – smoother and softer skin, minimized pores, and effective makeup removal. 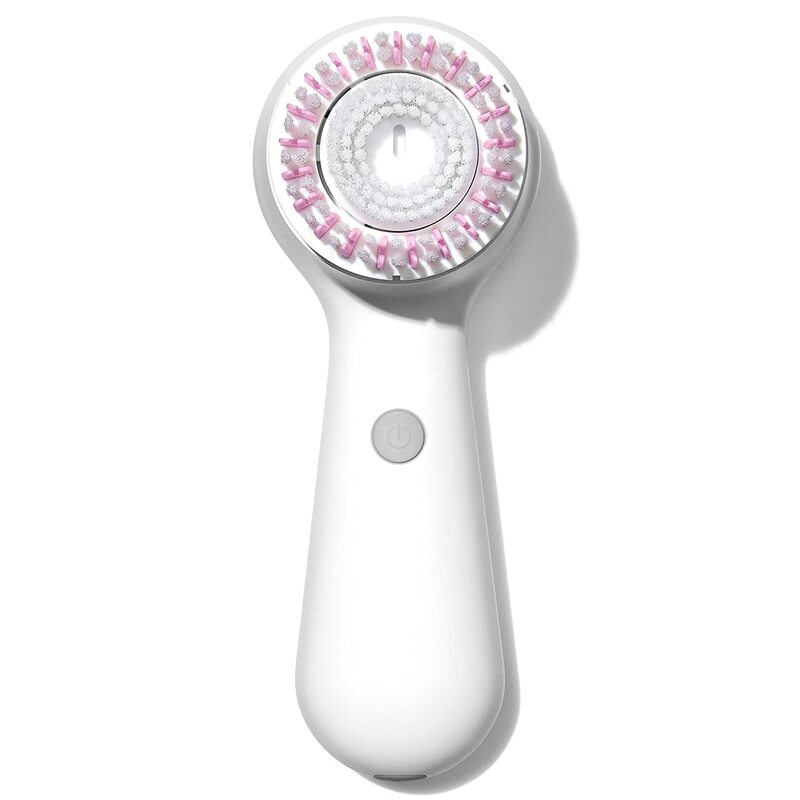 The Mia Prima is so far the simplest face brush that Clarisonic has on its catalogue. Aside from its one-mode button, this brush has gotten slimmer and much better-looking compared with its predecessors. But these changes have been made for the better. The results are still what you’d expect from a Clarisonic (e.g., smoother and softer skin). That said, if you want a sonic brush that’s simple to use, then buy the Mia Prima. NOTE: This brush does not spin. It vibrates, just like other true sonic brushes.